This is the novice marijuana grower’s handbook that guides readers through the absolute essentials of cannabis horticulture to produce the most potent buds. From where to buy seeds to sowing, nurturing, and maintaining a crop, this handy “Pot Bible” is essential for the perfect harvest. 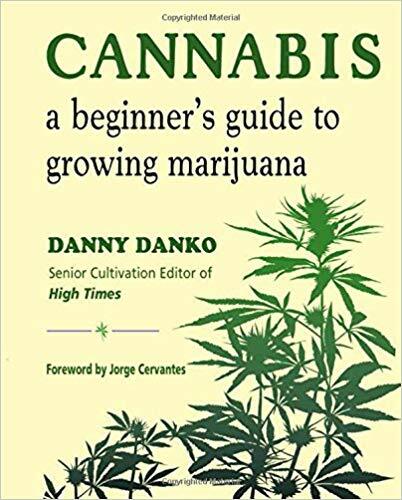 Danny Danko is a writer, photographer and the Senior Cultivation Editor of High Times magazine where he’s been working for over 16 years since 2002. 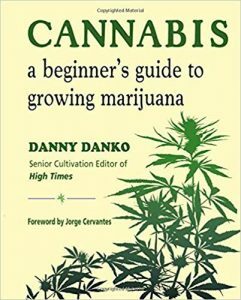 Danko was also chosen by longtime HT grow guru Jorge Cervantes as the hand-picked successor for his question-and-answer forum in High Times. Known as “Dear Danko” since 2005, this monthly cultivation-advice column continues the tradition of responding to plaintive inquiries from frustrated farmers worldwide. Danny has appeared on NPR, New York Times, Vice, CNBC, Slate, NY Daily News, Bloomberg News, UpRoxx, Wall Street Journal, LA Times, Detroit Metro Times, The Daily Beast, Alternet, The Nation and Washington Post. Danny has also been a guest on The Combat Jack Show Podcast and many others.